As a small business owner on the Outer Banks, I come in contact with a lot of people. During each week of our busy season, there is a new wave of folks emailing and calling to get their family portraits scheduled for their vacation week and each week I get the same question that isn’t at all photography-related. A few minutes later, after I have their family photo session scheduled and we’ve gone over all the details, it almost always ends in the same question. I have to admit, this is one of my favorite questions to answer because I still feel like it was just yesterday when I was sitting at Sundog’s Bar and Grille in Corolla with my sister while trying to get information from the bartender on what it was like to live here year-round. I just didn’t understand how life in paradise was actually possible and in full disclosure, I was still pronouncing Corolla like it was a car on the lot of a Toyota dealership. Granted, that was about 10 years ago now! Say it with me slowly, Kuh-Rah-La. Most folks have heard about how amazing the Outer Banks is in the fall. With amazing weather, great waves and tons of local events, the Fall really is just an extension of our Summer. But, there is still so much beauty in the winter on the Outer Banks! For business owners like myself, winter on the Outer Banks is a time to plan for the busy season ahead. Winter is a time that money gets a little tight and as a mom, I’m usually working with kids sitting on my lap because I don’t have enough work to justify paying for childcare. Our weather is a little sporadic, so dressing in layers is just as important as wearing SPF in July because you don’t know if the sun will stay out long enough to keep the temperature up. That, and the wind blowing off of the ocean, can be bitter cold. Our less-than-perfect weather brings choppy oceans and high tides that often reveal shell beds that make this mama stop dead in her tracks. Oftentimes, with the exception of my kiddos, I am the only person within 10 miles to enjoy the beach combing. 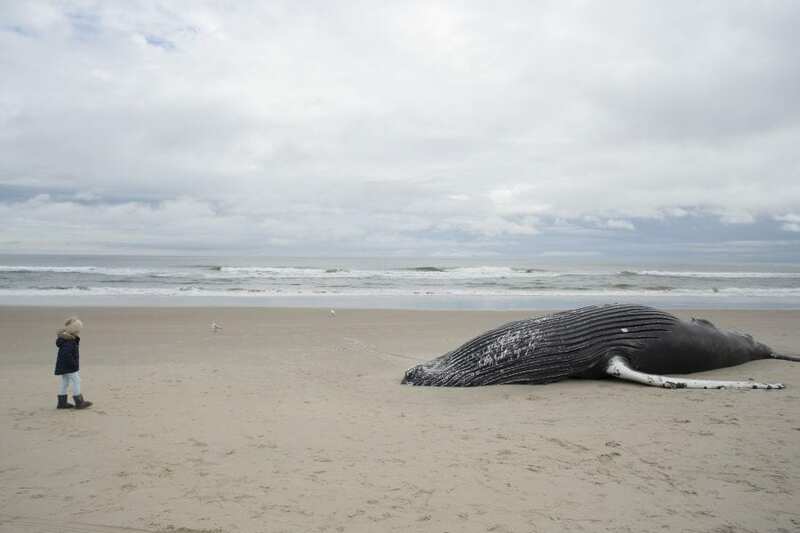 This year we have had the incredible experience of seeing a 37-foot humpback whale washed up in Corolla. From a distance we have met a beautiful young seal resting on the beach in Kitty Hawk. Not only is winter absolutely amazing and restful here in paradise, it can be so educational for our kids as well. There is little that brings me as much joy as beach combing and finding great shells and seaglass. 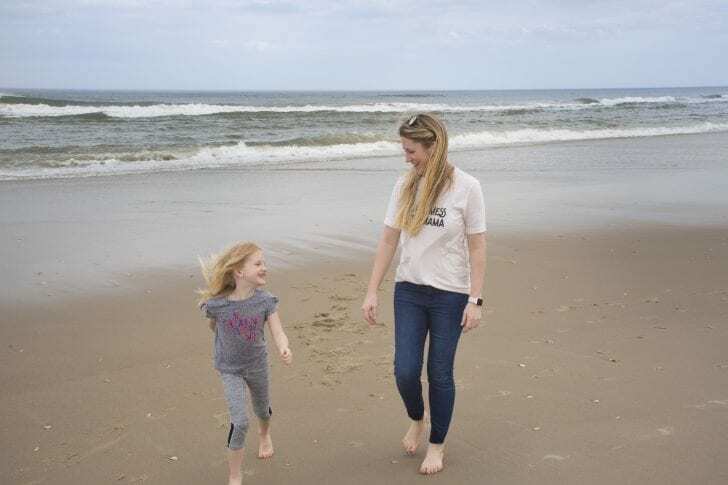 I could look for beach treasures for hours and hours, but the best thing about winter on the Outer Banks is having my family all to myself. There is magic in watching our teenager completely let loose and play pretend with his little sisters without feeling like there is audience of beach go-ers. I love that the girls can explore without having to worry about stranger-danger and I really love the look on their sweet faces when they find a real piece of sea glass of their own. I love having the beach all to ourselves and that is a luxury that can only happen in the winter! The off-season allows me a little bit more time to photograph our beautiful coastline and focus on the beauty of freshly planted beach grass or seals resting on the beach. While we’re all craving the heat of a Summer day and a paycheck that reflects summer work and warm waves, there is just so much beauty in an Outer Banks winter. 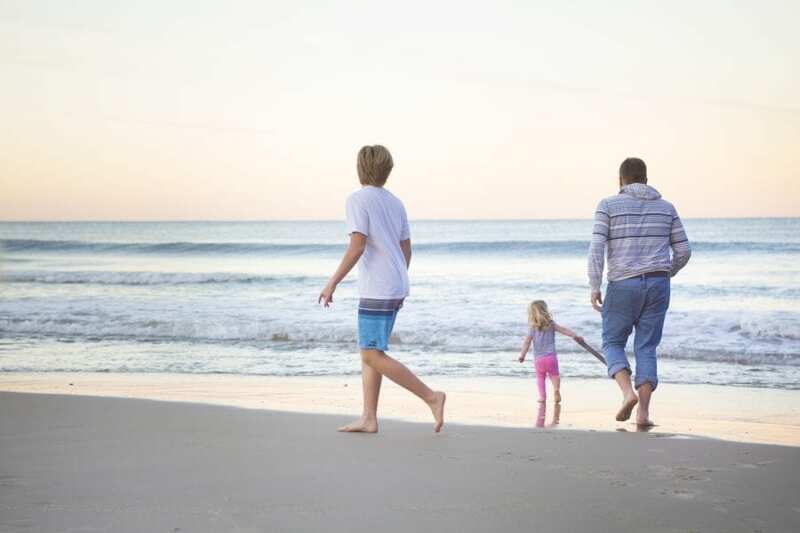 If the Outer Banks is your home, then you know it’s worth taking a long beach walk. If the Outer Banks is your home away from home, it’s worth a long weekend visit. With all of that being said, we’re down to just one day before spring officially shows up, at least on the calendar. I’d like to wave goodbye to winter and fully welcome spring! I will always love that spring brings a new wave of motivation to local dwellers, myself included. Spring brings a promise to local families that our provision is coming. It brings an awareness that we need vacationers as much as vacationers need locals. It also brings amazing weather, open-for-business signs and amazing events!